Look what hatched yesterday: It's the Feathered Friends mittens, just in time for NaKniMitMo 2010. Row upon row of sweet birdies perch their way across these cute mittens. 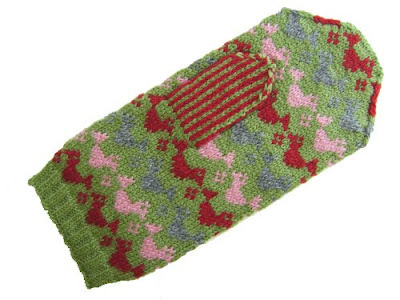 Instructions are provided for making these as fingerless mittens as well! These mitts would be a great first project if you've never tried colourwork but would like to give it a shot. Find the pattern here on Ravelry, and shortly in my Etsy shop. January 12, 2010 at 9:46 a.m.
A perfectly adorable mitten! Love the pattern and the colors! January 16, 2010 at 9:02 p.m.